This article first appeared in The Edge Financial Daily, on September 25, 2017. 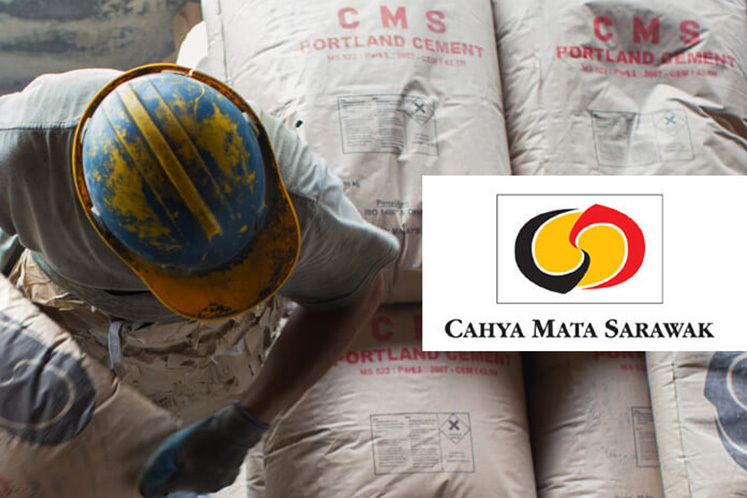 KUALA LUMPUR: Infrastructure player Cahya Mata Sarawak Bhd (CMS) is looking to use by-products of smelting plants in Samalaju Industrial Park (SIP) as material in its road base. Group managing director Datuk Richard Curtis says the initiative aims to recycle the waste material which would otherwise go into landfills, while at the same time exploring a potentially cheaper source of material. Silica fume is a by-product of producing ferrosilicon alloys in smelting plants and is commonly used to strengthen Portland cement concrete due to its extreme fineness and high silica content. Apart from CMS’s associate company OM Materials (Sarawak) Sdn Bhd, other players with ferrosilicon smelting facilities in SIP include Pertama Ferroalloys Sdn Bhd, a joint venture between Japan’s Nippon Denko Co Ltd, Shinsho Corp, Carbon Capital Corp Sdn Bhd and Asia Minerals Ltd.
Another by-product that it could potentially recycle is slag — a glass-like by-product of the smelting process. It can also be used to enhance cement strength. “Look, if you have 150,000 tonnes of slag which you’re putting into a landfill every year, for the next 20 years, that’s going to fill up a lot [of landfills]. But if we take 150,000 tonnes [of slag] and use it on roads, for example, it would solve the landfill problem, [and] I’d have helped the state and also maybe helped my bottom line,” he said. At present, the potential volume is small relative to CMS’s larger production. Curtis said the group typically sells three million tonnes to five million tonnes of stone a year while current cement demand in the state is about 1.7 million tonnes per annum. CMS is the sole cement manufacturer in the state. In the financial year ended Dec 31, 2016 (FY16), its cement, clinker and concrete products’ manufacturing division contributed 34.3% of group revenue and 31.1% of pre-tax profit, according to Bloomberg data. In FY16, CMS recorded RM1.55 billion in revenue, down 13.2% year-on-year (y-o-y), while net profit dropped 32% y-o-y to RM169.2 million. For its first half of FY17 (1HFY17), it saw revenue drop 10% y-o-y to RM670.6 million, though net profit surged from RM8.95 million in 1HFY16 to RM89.4 million. Last Thursday, its shares closed at RM3.97, down 0.75% year to date, giving it a market capitalisation of RM4.27 billion. Curtis cautioned that it remains to be seen whether the cost of using by-products would be cheaper once the plants realise its commercial applications. Curtis noted the relative scarcity means existing quarries in the state are priced at “ridiculous prices” for potential acquisitions.